In World War Two, during the winter years, servicing of airplanes was very difficult, especially in the Eastern Front. Often, the operational and mechanical limits of trucks and tractors were reached and more traditional methods had to be used such as horse-drawn sledges. German Luftwaffe, as well as it's Russian enemy were using it for any kind of supplying or carriage. The sledge is also a one piece casting (picture 5). Yes you read well: only one piece! How Tarmac managed to do this is beyond me but it will make the building a lot easier. Unfortunately, the instructions are spartan. In fact, you can only count on a black & white photo (picture 6) and the picture of the finished model. However, the kit is pretty simple and the only difficulty will be to scratchbuild two straps out of tin sheets as indicated to replicate the reins. The last picture shows the other side of the instruction sheet and you can see the sledge was also used to transport small bombs. This original kit will add a nice touch to an Eastern Front winter diorama, be it Luftwaffe or VVS. You can use it aside a Ju 52 transport, an Il-2 Sturmovik or any fighter, the possibilities are numerous! I recommend it to every diorama builder as the quality is very good but I must be honest and say it's a little bit expensive. You could easily buy an ICM aircraft kit in the same scale for the 20€ the Tarmac kit costs! Here is the review of a nice, albeit expensive, little aircraft diorama kit: Tarmac's 1/48 scale Horse with Sledge. 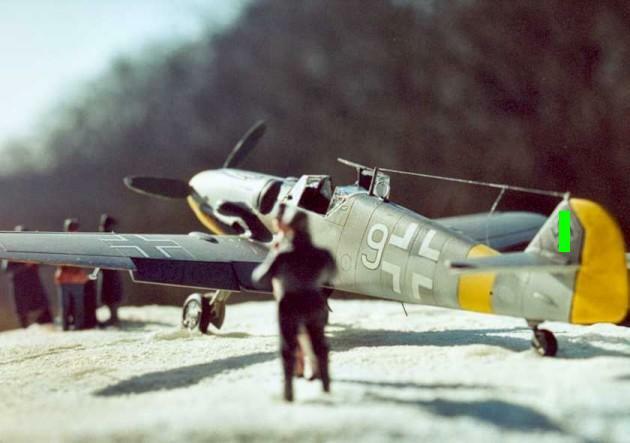 A very original way to bring an Eastern Front winter airfield scenery to life.